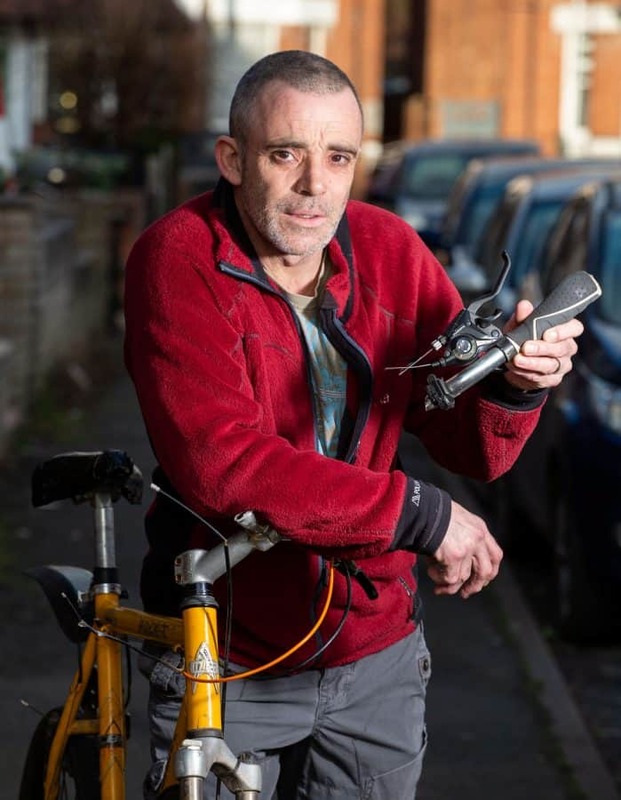 Dane Phillips, 45, was pedalling to the shops when he was struck by a car which sent his mountain bike flying 10ft into the air. 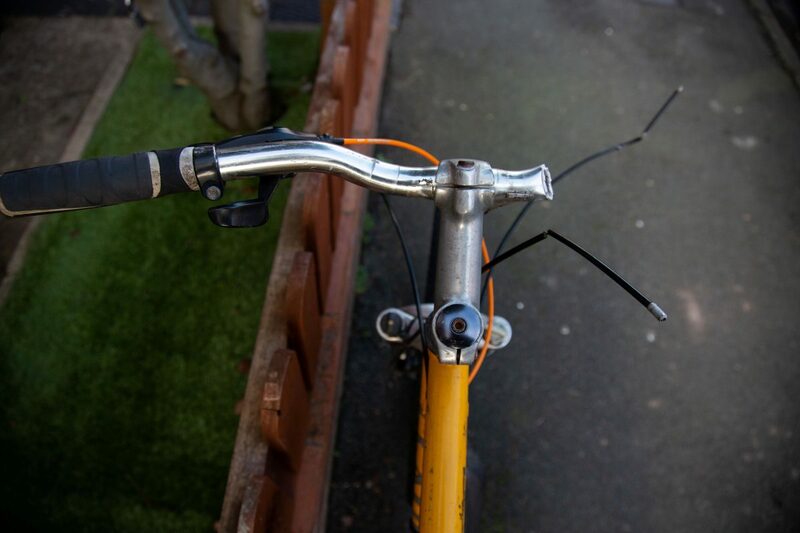 When the bike landed the handlebars skewered his right leg leaving him agonising pain. Doctors managed to remove the metal from his leg and now Dane is receiving physiotherapy to regain the strength in the damaged limb. Dane, a maintenance technician at a local college, said: “I was on my way to Aldi and cycling the route I’d done a thousand times before when this car came out of nowhere. “It all happened so fast, it clipped my front tyre and the bike just flew up 10ft in the air. 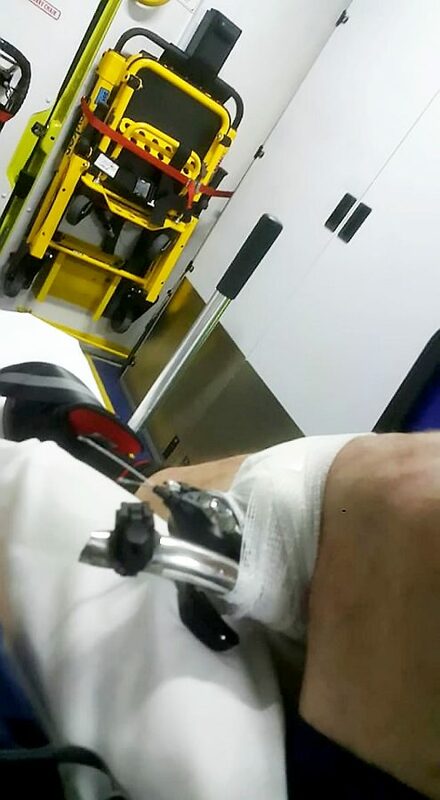 “I was lying on the ground and the bike landed on top of me with the handlebars through my leg. “At first I didn’t initially realise I had been hurt, and then I saw that the gear and brake levers on the handlebars were stuck deep in my leg. 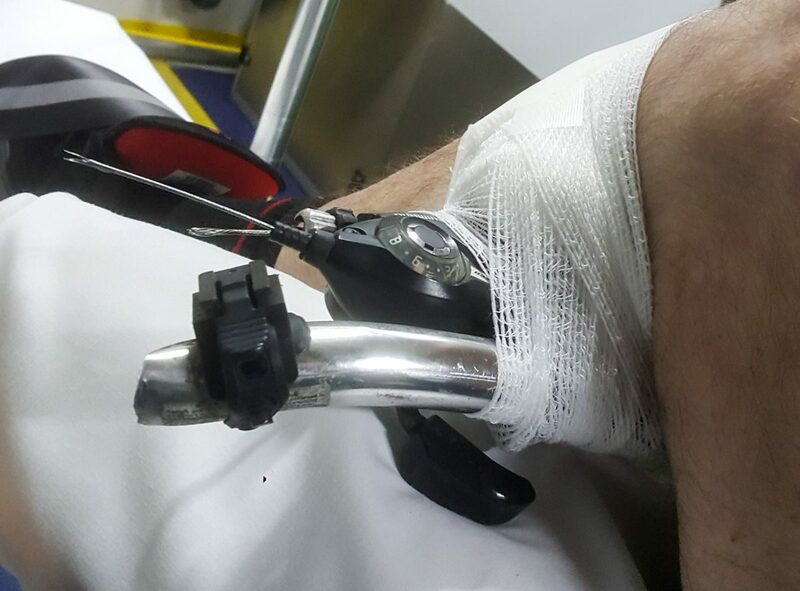 “The handlebars had to be cut off my bike by firefighters using specialist equipment at the scene and then I was taken to hospital to have them removed from my leg. “It was not a one-off, the narrow streets in Whitecross in Hereford are used as rat-runs by drivers looking to get in and out of the city. “It could have been a child that was hit. “It was a big car and it could easily have been a fatal accident.